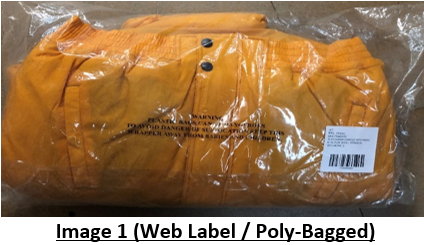 The below guide covers Sweaters, Blazers, Jackets, Knitwear, T-shirts, Skirts, Jeans, Trousers / Pants, Shorts, Dresses, Onesies, Outerwear and Jumpers. The below is a mandatory requirement and must be carried out by the vendor. Any deviations from the below can result in a chargeback. All to be Swing-Tagged on the neck seam or through the neck label so ticket can be tucked in. 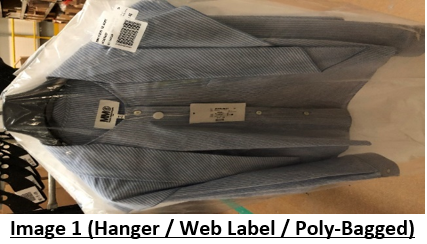 If no label at back of neck, ticket at back of neck seam. 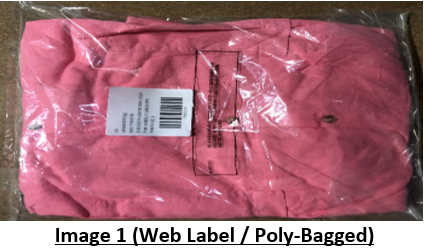 Then garments to be Poly-Bagged and labelled with SKU label on opposite side to all other barcodes (if present). All be Swing-Tagged through either the label or the waistband seam. 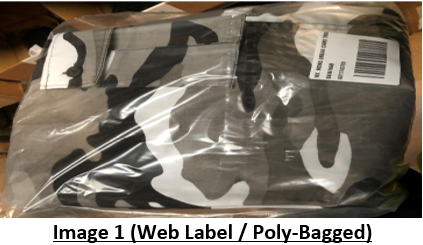 Garments then to be Poly-Bagged and labelled with SKU label on opposite side to all other barcodes (if present). 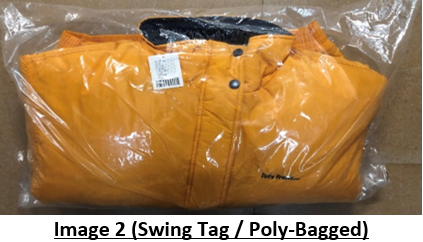 Product is only to be sent in on a hanger if advised by the buying team that this is required. 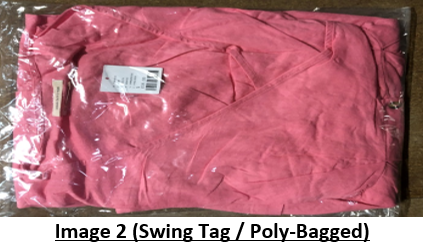 If so, the product is to be Swing-Tagged on the neck seam / waistband seam or through the care label. 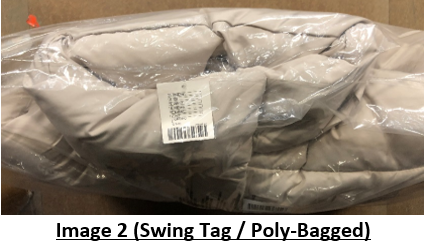 The product is then to be Poly-Bagged with the metal hanger revealed through the top of the bag. 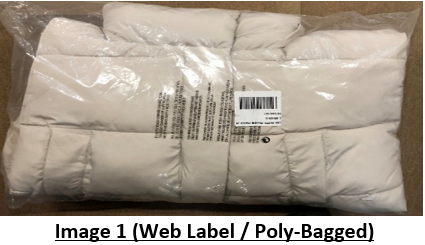 The product is then labelled with a SKU label on the outside of the Poly-Bag. Remember all units should be packaged in an outer carton with a Tradestone carton label on the outside, and with the packing list on the first carton. All digital cartons must be sealed with red tape and all retail cartons must be sealed with clear tape. 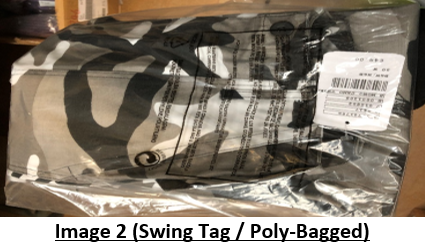 If you are unsure of the instructions, please contact Compliance.eu@urbn.com also remember to provide a photograph of your product, your PO number and vendor ID.